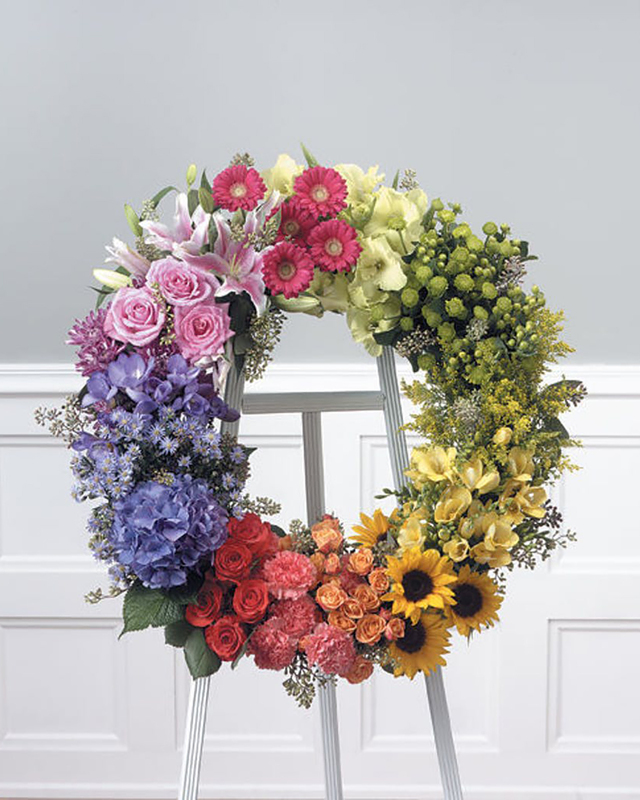 Glorious colors in seasonal flowers form a wreath of thoughtful remembrance! This wreath includes a mixture of seasonal flowers and colors. Some of these flowers will vary depending on the season. Appropriate for the funeral home.